The Karen people have been suffering from systematic human rights violations by the Burmese military for decades. This has taken the form of military attacks and severe repression of Karen rights, history, culture and identity. 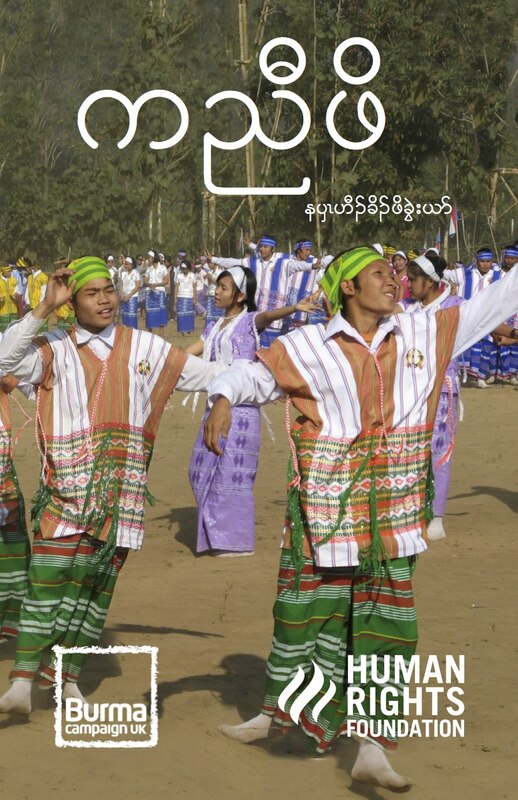 This human rights guide, by the Human Rights Foundation, in collaboration with Burma Campaign UK, focusses on the particular human rights violations that the Karen have suffered. It features some of the fundamental rights that must always be respected. We then explain what each of these rights means in everyday life, and give examples of how these rights are violated by Burmese authorities in the political context of today’s situation for the Karen in Burma, detailing what can be done about it. The full Universal Declaration of Human Rights is also included in this guide. Human rights are universal; they belong to everyone, no matter of race, ethnic, religion, language, gender or wealth. Human rights are also indivisible; there is no one right that is more important than another. All over Burma, people have their rights violated. Like the Karen, everyone in Burma is entitled to the same human rights.